From the sugary white sand beaches at the Mauna Kea Resort to the renowned Jack Nicklaus golf course at the Hualalai Resort, there is no wonder the Big Island is a prime destination for the worlds most affluent. It’s an oasis, a refined playground where ultra-wealthy individuals are given a rare opportunity to explore and enjoy what Hawaii has to offer while maintaining their anonymity. Having access to the most stunning and exclusive listings on the island, we have compiled three homes across the Big Island that are nothing but spectacular. At Luxury Big Island, Harold and his hand-selected team are passionate about ensuring a tailored responsive experience to match you with the island paradise you seek. The possibilities are endless. 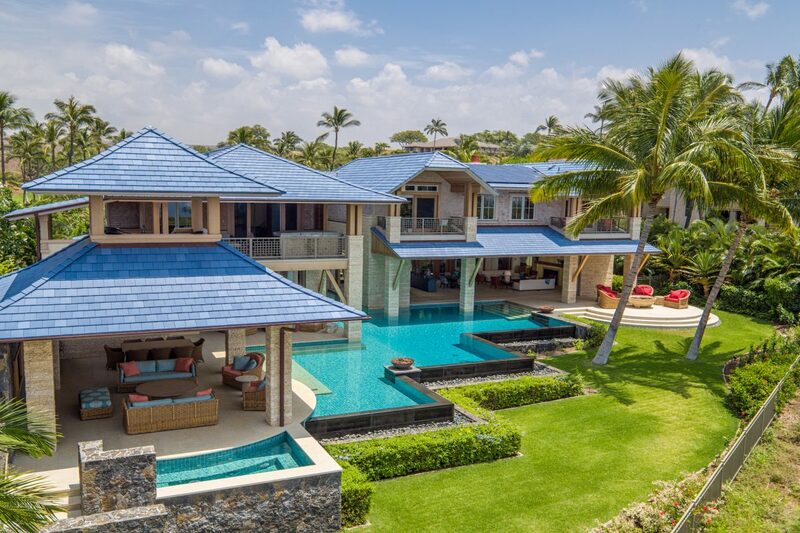 Walk into this brand-new custom home at Mauna Kea Resort and immediately you’ll be captivated by the exceptional finishes and craftsmanship. This breathtaking private residence was designed by award-winning architect, Mark de Reus. 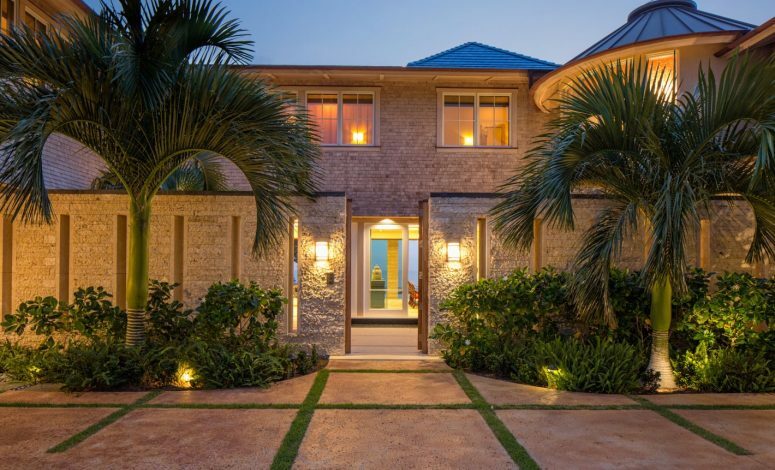 The 9,500-square foot home contains 6 bedrooms and affords you amazing ocean views. Featuring the highest quality materials like coral stone, marble, basalt, travertine, cumaru, teak, ice and cedar makes this residence a true masterpiece in every sense. Known to many as the billionaire getaway, Kukio is Hawaii’s most exclusive community. Open only to homeowners and their guests – you can’t enter the gates without the express approval of a homeowner. Just a few steps from Kukio’s beach and club lies this immense 5-bedroom house with over 8,400 square feet interior living area. The plentiful palm trees and tropical foliage encompassing the property provide a calm, soothing experience. The home features brand-new furniture, commercial grade kitchen, pool, hot tub, cold plunge, steam room, outdoor bar, 500 bottle wine storage and a secluded game room just to name a few of the spectacular features. 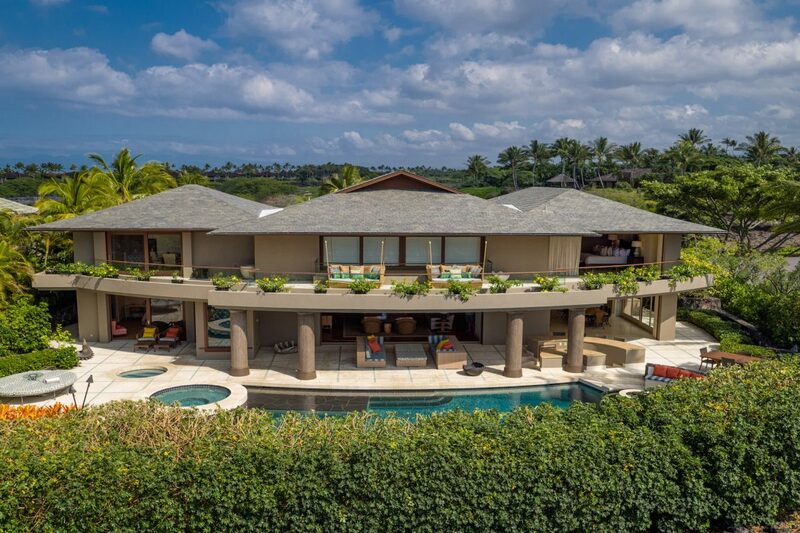 A truly sophisticated home with extraordinary amenities in one of the most distinguished addresses in Hawaii. Blurring the line between indoors and outdoors, this Hualalai Resort contemporary residence was designed by OpenSpace Architecture. The residence features 24 foot ceilings with integrated glass for a modern day feel. With over 6,400 square feet of interior space consisting of 5 bedrooms, the home was designed with both family and guests in mind. Each room contains its own ensuite with elegant Blu Bathworks fixtures and private landscaped walk-out shower gardens. Step outside and you can enjoy an infinity-edge salt water pool with an in-water lounge area and oversized spa making for a perfect place to decompress. The home’s gourmet kitchen features top of the line Wolf, Sub zero and Miele appliances along with a climate controlled wine room for 700+ bottles with Fond du Lac limestone wall. 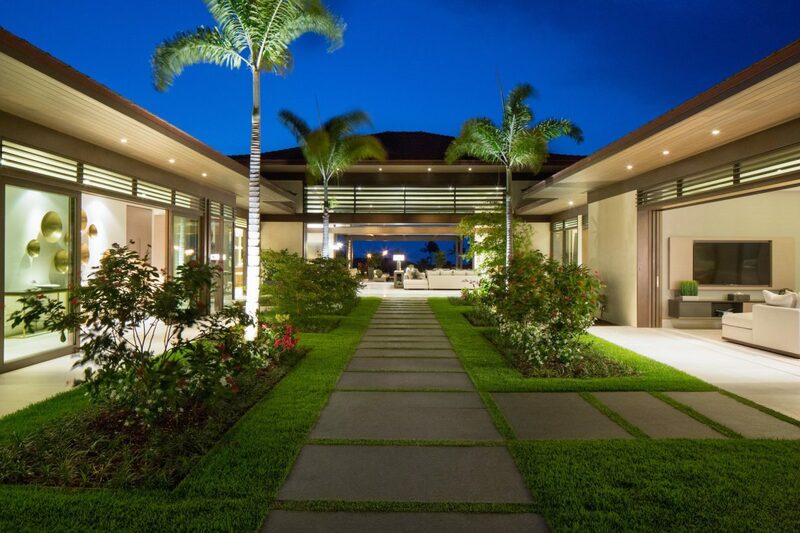 The Hawaii inspired landscaping enhances this luxurious open-concept home to create your own slice of tropical escape.